Establishing your online brand encompasses many things including your domain name, your logo, your website, your social media presence and even your email address. If you’ve been blogging for a while, you probably already have registered your Gravatar, have a branded email address and a social media user name. If you’re new to blogging, you may want to start with these 4 simple steps to reinforce your brand. In this week’s #FridayFinds, I’m sharing a tutorial on how to create a custom vanity URL, examples of branding on social media and an article on the importance of website design. Custom URLs are short, easy to remember web addresses that link directly to a specific page. Ana Hoffman of TrafficGenerationCafe.com has created an awesome tutorial HOW TO: Create Your Own Custom Vanity URL for Branding and Traffic. In her article, Ana explains not only how vanity URLs look better and are more memorable but also how you can use them in YouTube videos, Slideshare presentations, affiliate links, Bit.ly, Buffer, Twitterfeed and other social sharing tools as well. As Ana says, this may take 30 to 60 minutes of your time to create a custom vanity URL (including registering a new domain name) but it’s important to look at this as an investment in your brand. For example, Ana’s shortened URLs are branded with tgcafe.it. After reading Ana’s, article, I immediately registered a new domain and customize my shortened URLs as keepupweb.us. In Brand Examples: Social Profile Designs on the Big 3 Networks on WebsiteMagazine.com, Allison Howen shows example of how three major brands, (Papa John’s Pizza, Petco and Virgin America), have successfully carried their brand into their Facebook, Google+ and Twitter profiles. In addition to screen captures, Allison shares her insight on what these companies have done right along with suggestions on how they could improve. Ashley also shares the infographic Does Design Matter by Helen Alden from Infographicality.com. Are you branding your shortened URLs like Ana does? Did you get inspiration from the social media profiles that Allison featured or insight from Ashley’s article on website design? Please share your thoughts and ideas below as we can always learn from each other. This is a tough one. I haven’t given it much thought, but what I would suggest you do is build out your brand under your name, anyway. It’s the industry that you’re in that really needs your name attached to it, I feel. However, where you can be different is producing content focusing on what people need answers on. When you go to Google and search you will rarely type someones name in to get ‘information’ on a topic (if you know of them already, you’ll just go directly to their site, right?). Very useful post and Yes, branding is really become an important factor. Social media helps in promoting our business and drives new visitor and enhance our brand but for this we have to use social media properly. I never used custom URL but it really seems interesting and I am thinking to use it. Thanks for sharing this post with us. Thanks for letting me know that you enjoyed my post. I’m big on branding my “KeepUpWeb” Id. I’ve shared before that I even registered the KeepUpWeb.com domain name and often direct people there. Good luck with your custom URL. I hope it goes smoothly for you! Nice and useful post as always. Branding is something that I think more and more these days. I started by changing the look of my blog and now I want to create a system of branding and content promotion. The time of writing blog posts for the sake of it or for the pleasure of writing has passed. From now on it will be different. Branding starts with one thing: changing your mindset. One of the most important elements of the mindset is Time. You must understand and use the power of time. If you want success, you must learn how to make time work in your favor, otherwise you will remain broke forever. Then. when the mindset is changed, the rest follows naturally. Thanks for dropping by Silviu. I think we’ve both been very busy lately. I really like the new look of your blog. It looks fresh and clean – much more in line with the current trends in website design. I keep wanting to switch my blog design to a responsive theme but I haven’t found the time yet. Time – geesh, that’s what your post is about! I really should look into the book that you recommend. As always, thanks for dropping by and you have a wonderful day too! I try to use social networking websites daily. May be it is hard for me to spend much time. I totally agree with your ideas about branding any website, business online. People are trying to build their brand via social networking site which is really helpful. In today’s world of modern technology people want to know more and more for which interacting with people is a major part. I haven’t tried to brand my social profiles but as I have studied it can help us a lot. I hope to figure out in a good way. Branding a website for a blogger is a big deal. The main part is SEO and an alternative key point to remember is the good affect of visual content. I hope I will easily try these tips. Keeping your brand consistent and building awareness is key. It’s becoming more apparent that the social networking site to build your presence on (especially when it comes to SEO) is Google+. I wish Facebook allowed a custom URL from the very beginning, once you get 25 likes, you can redo all your materials with the updated link. Tom recently posted..Personal Passion Or Business Opportunity? I don’t plan on paying for promoting my posts either. I like the idea of shortening URL’s but I’m wondering about error messages that some link shorteners have been producing lately. Messages that say ‘the link you requested has been identified as problematic”. I’ve seen that a few times, especially with bit.ly. I’ve also heard of other bloggers stating they’ve seen problems with Google URL Shortner and Hootsuite’s shortened Ow.ly links too. The other down side to shortening url’s is that you don’t know what’s behind them. They could lead to malware, adult sites, drug sites, etc. Sorry don’t mean to be a downer about this but I’m just wondering how feasible this will be in the long run. I haven’t noticed that many error messages with URL shorteners lately. I’ve come upon a few in my Twitter feed but they’re usually from bloggers who I don’t regularly share for. I don’t remember the last time that I saw an error from someone who I regularly follow. I did run into an error myself when I first set up my vanity URL. I followed Ana’s tutorial and I thought everything had gone smoothly. It wasn’t until Ray (@gameutopia) told me that my ReplyMe emails weren’t working correctly that I knew there was a problem. The URLs to the original comments were pointing to nonexistent URLs on Bitly.com. It took me a while to get to the root of the problem but I discovered that it was the “Bitly Official WordPress Plug-in” that was causing the issue. Since that plugin works for Ana, I have to figure that it’s a conflict on my blog or some sort of configuration error that I made. However, I tested all of the setting options and none of them worked for me. So, I deleted that plugin from my site. Thanks for weighing in on this. You’re not being a downer at all. I think it’s an important conversation and I’d be interested in seeing it discussed more here. Branding online can seem like such a… nightmare?… sometimes! I’m working hard to build a notable brand and a name for myself online so I really appreciate the awesome tips! I’m going to be checking out the custom link tutorial, I think that could be a huge bonus for FB/Twitter interactions too! Thanks for letting me know that you found the tips helpful. Do you keep track of the steps that you take when you introduce something new to your site? I’m mentioning this because I ran into an issue with the “Bitly Official WordPress Plug-in” that Ana uses. For some reason, it was causing a conflict with the ReplyMe function of CommentLuv Premium. Sherryl- Everyday is a learning experience and I must say I have been doing what your article suggested, with a little help from my friends. As you know I was helped by you when I first started blogging and it has helped me greatly. For my blog site I am known for the queen of analogies. I guess it is better to be known for something than nothing at all. It’s great to see you here. Being known as the queen of analogies sounds perfect for you! You definitely have come a long way from when we first met. I can remember when you made the brave decision to scrap your old blog and start anew. You’ve definitely found your blogging “voice” and have come up with a creative way to incorporate promotional items into interesting and fun articles that foster a conversation in the comment section of your blog. Congrats and thanks for dropping by. 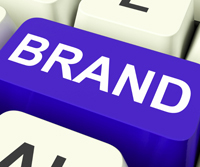 More great branding tips, I had a guest blogger last week share some as well. These are more specific to links and social sites though. I’ve never done the vanity URL, not like what Ana has suggested doing. At times I’ve created subdomains but I hadn’t thought about doing them that way. Gosh, I can’t really shorten my name but to use my initials and that would really be short. Wonder if anyone would get that it was my site! Have to think about that one. I do go for the URLs whenever we’re notified that they’re available like with Facebook and Google+. I jump on those because there is an actress and a doctor with the same name as me so I don’t want them getting them before me. I don’t think they’re on a lot of the social sites though. I remember that guest post. It was an excellent article by James Halloran and I immediately connected with him on the major social networking sites after reading it. You do have a challenge shortening your name. It was easy for me to just brand keepupweb but I should probably think of reserving a short version of my name too. I usually jump on my usernames too because there actually is another woman who spells her name the same as mine. She’s a lawyer but I don’t believe she’s active on social sites either. As always, thanks for taking the time to drop by and share your thoughts with us. Sorry I’m just now getting back by here. I don’t blame you for not linking to my post. My blog was so unreliable while dealing with my hosting issues so I wouldn’t have trusted it either. You didn’t hurt my feelings but I’m so sorry I didn’t get to let my guest shine with his knowledge. I felt so bad too with that post going live right when all of this started happening again. He was so gracious about it though. Have to think about that name shortening. Darn my mother for giving me the long version! LOL!!! I did feel badly but that post will stand the test of time. The next time that I’m writing on branding, I’ll do my best to remember it and I’ll link to it then. That way, it will get another boost. As for the vanity URL, have you searched to see if you can secure some version of a short domain with either Adrienne or AdrienneSmith? There has to be something out there. I used to say darn about my mother spelling my name in a way that no one could spell but now I’m glad. What I don’t like is when people call me Sherry Perry. LOL – Although, even that I’m getting used to. You know as long as I’ve been blogging I never used vanity URLs but then again I didn’t know too much about them up until now. I’m going to have to do a little more research on them, but I do understand the benefit of using them to brand even further. Thanks for the share! Vanity URLs help to reinforce your brand. I think sometimes, it’s partly a subliminal message but it also looks more professional. Thanks for taking the time to join the conversatioin. I have just kept it for later (at this point, I don’t have any money to spent on domains. I still have to make some to pay for hosting and domain renewal for next year; I don’t work outside of blogging). Being in college makes it easier; I don’t have to worry much about money (my parents certainly do..and I am thankful to them for that!). As for Ashley blog post, I do agree with his points (seems like he has done a major redesign for his blog…very timely, with his post on design). Anyways, thank you for sharing this, Sherryl 🙂 Hope you had a great weekend! Jeevan Jacob John recently posted..Why not create your own Images? I really like Ashley’s design for his blog and I think what he does with his images is great. I’ve tried to apply his technique of overlaying text on images and I’m not as happy with my results as I am with his. He really has a skill for it. I already have my Google custom URLs but haven’t gone down the path of branding my website yet. But speaking of the Google+ URL, the following might help someone else who trips over the same issue: When I changed mine to the customized version, there was one page on my site that I missed updating and it still displayed the previous, lengthy version. My photo subsequently disappeared form the search engine results. There was a mismatch between my identity on my site and on my Google+ profile. As soon as I updated all entries to the customized URL, my photo reappeared in search results. Thanks for sharing your experience changing your Google+ URL. That’s too bad that you ran into an issue with your photo disappearing. Sometimes, you can miss one small setting and then something will go awry. I’m glad you figured it out! I have always used Vanity URLs at social sites as much as possible and I grab them as soon as they become available and I come to know about that feature. For example, I got my Google’s custom URLs as soon as they became available. This is a very important step towards establishing and also protecting your brand identity. Have a glorious new week! It sounds like you take the same approach that I do about reserving vanity URLs. Do you do that with usernames too? I ran into a small issue this week with a username that I had reserved on Tumblr. Lisa Buben had written a post about using it and when I went to logon, Tumblr didn’t recognize my email address. When I tried to create a new account, it told me that my username was already in use. Tumblr support was awesome though. I contacted them and in less than an hour, I was back in business. I can see how doing additional branding might be helpful for business, but maybe more work than what it’s worth for the little site or hobby site. I believe if you have a short enough domain name you could do a CNAME (subdomain) instead of a A record, and use the domain you already have without registering a new one. Lucky for me I think mine is short enough that I could do that. Like (now . my domain . com / ABCxyz) or similar. I know ending extensions like (.it, .io, etc.) are out there, but they just look strange to me. One thing I added in a comment on Ana’s site, which is in moderation and not published yet is that as far as I know of you can redirect the main short domain (keepupweb . us) to (keepupwiththeweb . com) or elsewhere if you want. By default if someone where to enter just keepupweb . us it will redirect to bit . ly. I don’t know that too many people would, but you never know. Whether that is a little old or out of date I couldn’t tell you for sure. Ray recently posted..Is Your Google Authorship Markup Implemented Properly? I agree with you that short extensions like “.it” can be a bit confusing. When I first saw Ana’s domain TLD, (top level domain), I thought it stood for information technology. 🙂 I’m hoping “.us” is a little more recognizable but I may just be delusional. I did set up my default short domain name as keepupweb.us in my bitly.com account settings. The final piece of the puzzle was to configure the domain settings in the “Bitly Official WordPress Plug-in” to point to keepupweb.us. It seems that everything is working as planned. As always, thanks for adding your insight. I’ll have to go back to Ana’s post to read her reply to you. Note: I wanted everyone reading this that this may sound more confusing than it is but if you’re not familiar with DNS records, you may want to give a shout-out to someone. Some domain registrars have easier domain management tools than others. I hope that I didn’t add any confusion for your readers. DNS can get much more complex, but in this situation it is fairly simple. Although, I wouldn’t delete records or change them if I weren’t sure what they did because I am sure you know, but your readers probably don’t you can knock your site offline completely if you enter something wrong. I usually just click on those bottom links if I want to return to the article, but when clicking on the bitly address it is a 404 page not found. Maybe a setting needs to be tweaked somewhere. I didn’t mean to imply that your comment was confusing. I appreciate your input and any suggestions you may have immensely. I just inserted that note for other readers in hopes that they’ll stick with the conversation. You’re definitely right to caution people about making DNS changes and thank you so much for letting me know about the reply problem! Yesterday was a very busy day for me. So, it took me a while to troubleshoot the issue. I believe t’s working correctly now. I hope you have a great week ahead too! You’re doing a wonderful job of branding yourself and building name recognition. You’re becoming known for both your illustrations and your ability to build relationships online. Are you thinking about creating a vanity URL? If you do, would you try to reserve a domain name with your Twitter ID or your FindingYourWayNow website? Good post to make, especially new, bloggers know what to do to brand themselves online. As you know I have done what’s suggested and it works. Maybe the main thing to do is figure out what makes you special. If not, you end up looking and sounding like everybody else. Would personally love to see more bloggers that write about how to succed with blogging or on social media trying to be a bit different. It gets tedious when they post yet another article on basics on how to use, say, Linkedin. Why don’t they instead focus on a new feature Linkedin has introduced. Then their article is news worthy. Catarina recently posted..Have you ever gone straight from success to failure? When I look for articles to include in my #FridayFinds, I try to find posts that add value. For example, I had created several vanity URLS (Google+, Facebook etc.) but I had not created a new domain specifically for shortened URLs. As I read Ana’s post, I knew immediately that she was adding real value by detailing the steps to create a custom vanity URL and why we should. Sometimes, I also include posts that are on topics that are blogged about often (like website design) when they’re well written and can inspire us to take immediate action. As always, it’s great to see you here! If you write about a topic that’s been written about a million times you add a new twist, which is essential. You described about the topic to create online branding very precisely.I’ve gone to the link you have given of TrafficGenerationCafe.com and it was really very easy to create the URL.Branding the Social Media Profiles is important as you also said it in your article. I will try it and hoping to have a give a great boost to my Brand. Good luck with your vanity URL. Lots of times when I come upon something like that, I put it on my to-do list but this strikes me as something that could have a lot of potential with branding. Ana obviously spent a lot of time writing that post. So, I acted on it immediately. It took a little while but it’s done. Good luck bossting your brand and thanks for dropping by and joining the conversation.